If you are torn between several roofing companies in the Orillia, ON area, give us a chance to prove why we are the best in the business. If you are torn between several roofing companies in the Orillia area, give us a chance to prove why we are the best in the business. 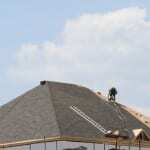 With more than 50 years of combined experience in roofing, we understand the needs of each of our customers. When we take on a job, we will focus on that one exclusively, so our staff members can focus completely on your needs instead of being pulled between multiple job locations. This also ensures high-quality and efficient work while reducing the downtime when you and your family have to be displaced. While other roofing companies in Orillia might get the job done, there is no other company that can match our customer service and quality of work. Call us today, so we can take a look at your roof and give you options to keep your home protected from the elements.